As Google Chrome OS nears a grand release, everyone is excited about a brand new operating system entering the monopolized desktop market. On the other hand, Mark Shuttleworth has set a target of 200 million Ubuntu users in the next four years. With Ubuntu 11.04 ‘Natty Narwhal’ not being as good as expected, Shuttleworth’s plans, if not impossible, may seem a bit too ambitious. As far as the marriage of desktop and the cloud is concerned, Ubuntu has rapidly managed to get an upper hand over its competitors. With the introduction of UbuntuOne, a cloud or online data backup service tightly integrated with the desktop, Ubuntu gives the cloud-curious crowd one good reason to switch. Now, when Google releases Chrome OS, the cloud will certainly become the next big thing. There will be many Windows and Mac users who’ll be fascinated by the concept of desktop-cloud integration. But of course, not all of them can switch to Chrome OS, as it’s not as powerful as their desktop or even laptop. They would want something that will work on their own computer yet give them the full cloud experience. Here’s where Ubuntu can fetch a lot of users. With Windows 8 not ready yet, and Mac OS’s grand cloud plans not being concrete, the only cloud-integrated free OS left is Ubuntu. All Canonical has to do is to market UbuntuOne as a service in the best way possible. Or, maybe they can ready a Windows and Mac OS version of Ubuntu One soon enough so that they can pitch it as an Open Source Dropbox alternative. As of now, UbuntuOne works only on Ubuntu and Chrome. If Google is to be believed, everything in the future is going to be web-based. This means, the core operating system will become less and less significant as we move forward in time. Well that’s good, but won’t that be bad for the Linux desktop? Surprisingly, the answer is no. 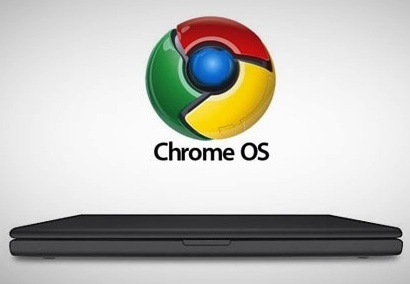 Google Chrome will come with applications that will sync between the Chrome OS as well as the browser. And, as soon as the OS releases, developers will rush in to make apps for it that are alternatives for the time-honored Windows ones. This in turn, will provide users a great reason to try out other Operating Systems out there, one of them being Linux. Thus by taking applications to the web platform, Google evades another longstanding dilemma of the desktop world that is application compatibility. Users would be able to access applications like Google Docs, Springpad and many others from any device, be it a PC, Chrome OS or Linux. We’ve already talked about the many problems Linux faces right now. One of those problems is the public perception that Linux isn’t a user-friendly operating system and that it is centered around geeks and hackers. However, with the success of Android, Google has managed, to an extent though, to convince users about the power or advantages of using Linux. If Google Chrome OS does succeed, the doubts about Linux and its ability to deliver on desktop platforms will be wiped clean. This itself could give a huge boost to the Linux community. Many people who have been using Windows for a long time are always looking for solutions that will address their security issues. Viruses and Malwares have been the most frustrating things Windows users have to deal with. With the release of Google Chrome, there will be yet another Operating System that is more secure and less complex than Windows. Thus Google Chrome in a way will give users a good reason to break free from the Microsoft shackles that bind them every time. This will definitely benefit Linux users, because people who are sticklers for all-things Microsoft will, for the first time, move out of their self-imposed cage. Once these users start roaming around in the OS wilderness, they’re sure to stumble upon Linux distros like Fedora and Ubuntu. Let’s just hope they do. 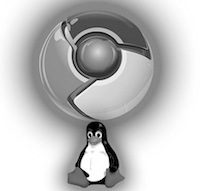 So, how do you think will Chrome OS affect Linux or even Windows and Macs? Join in on this discussion using the comments section below. More secure future? Really? The PSN and other attacks of late should dispell this myth, why hack individual computers when everybody's private info is in one place? Seems much less secure to me. PSN was hacked because they were using OUTDATED Linux/Apache software on their PSN servers. Anything can be hacked... The only question is how long will it take and how easy will it be.